Life’s a shark tank, but that doesn’t necessarily mean you have to be a shark. It also doesn’t mean that you have to be a guppy. You don’t have to be helpless and you don’t have to be vicious. There’s another way of being. There’s another way to exist in the waters of society, of humanity. At this point, it’s obvious that since my arrival I’ve been trying to SHOVE love into my students from every potential angle. Part of this process involves using whatever metaphors will make sense to them in order to help them make sense of the world. Since the orphanage they live in is their world, it’s the best example to use to draw comparisons. Looking around, the orphanage is walled in on all sides. Everything is fenced off, from the driveway to the field, to the structures and the yards. A lot of the fencing even has barbed wire on the top of it. For the purpose of my fifth grade metaphor—it’s a shark tank. Actually, it’s a shark tank in more ways than one. The kids are trapped there like a shark tank, but the environment is that of a shark tank, too. If you’re not a shark, you’re not going to survive. No guppy is going to make it in the shark tank orphanage. You need to be a shark yourself. Sure, only one person can be the biggest, bad-est shark, but as long as you’re big enough, defensive enough, or have a history of being tough, you’re not going to get messed with to the point of injury or death. There are rules in the shark tank, but that doesn’t mean it’s a safe place for swimmers without multiple rows of teeth. And so, I present my four meditating boys with another option. You don’t necessarily have to be a shark to survive in the shark tank. Let’s face it, they have nowhere else to go. This is where they live. So, I present them with the option of being a manatee instead of a shark. Hokey? Hell yes, but it works. 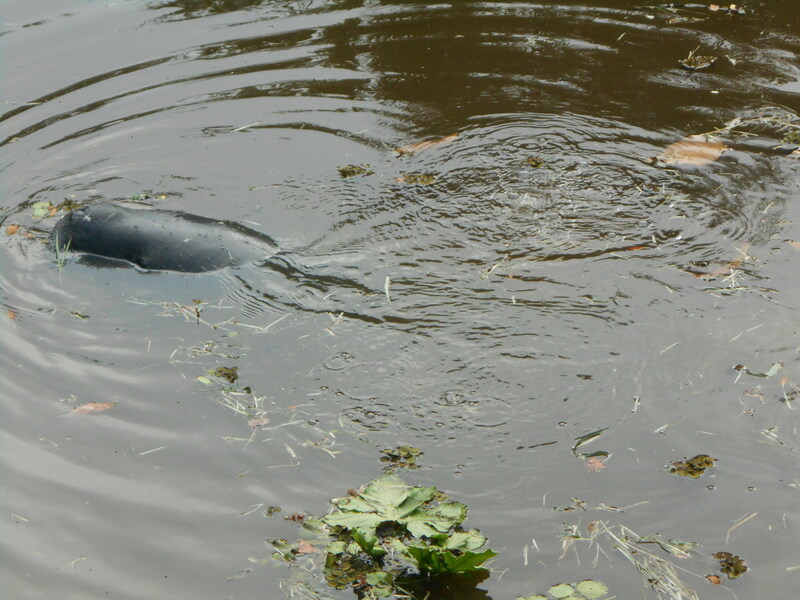 The boys, and the Guyanese in general, have been exposed to manatees because they live in the national park in Georgetown and directly outside of the zoo on the other side of town. They live in these murky brown ponds in the center of places that people frequent. 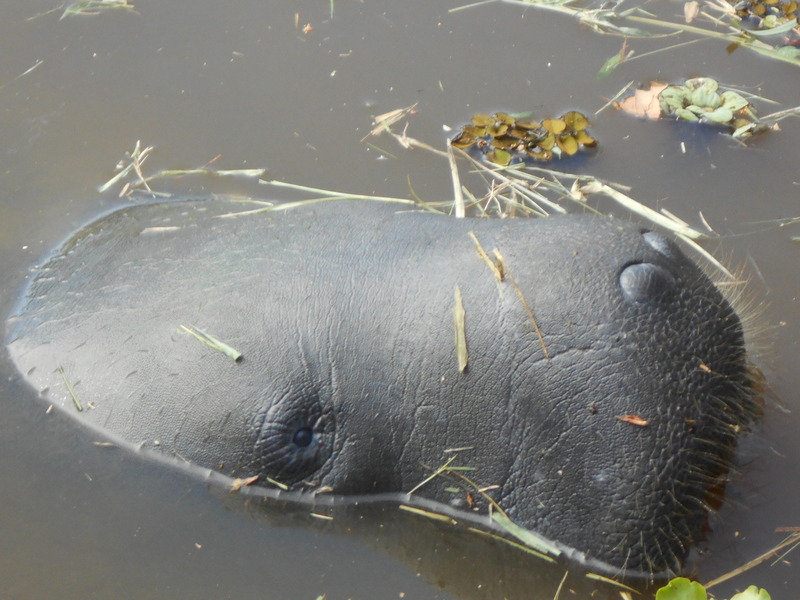 They’re said to be “semi-tame” and people sometimes pet them, but they’re manatees nevertheless. I’ve ventured over to the zoo to see them myself. So, my boys are well aware of what a manatee is. They know that they’re gentle, simple, large, slow, peaceful. Why not be a manatee? As long as there aren’t any Great Whites in the tank, a manatee is going to be safe around sharks, right? What shark wants to come after a totally peaceful, HUGE mammal that glides around the tank minding it’s own business? A manatee, at least in my scenario, would acknowledge a shark swimming toward it, turn to meet it (in all it’s glory) and send the shark peace while silently chuckling to itself that the shark would even bother messing with something so large. That’s what these boys have to do, that’s what we have to do with our lives. We have to be manatees. Whether we’re in the shark tank or swimming freely in the warm waters of Florida, we have to be peaceful giants. When the sharks are nipping at our fins, we have to be beacons of peace. Just like the manatees, the gentleness radiating from us will seem awkward at first, coming from such an immense creature, but it will soon make sense. Our size protects us, our gentle nature will rub off on the people around us, and we’ll become models of peace, of another way of living. This entry was posted in Guyana, South America and tagged #spiritjunkie, abroad, love, m, manatee, manatees, peace, peace giant, shark, shark tank, spirit, survive. Bookmark the permalink. Giants of peace? Also, schools of fish do a lot better better against a predator. Strength in numbers for your boys, I hope.